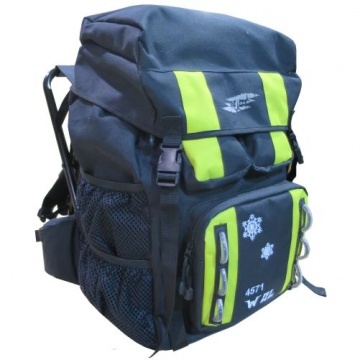 WOL chair rucksack 1711/4571 have many practical features and pockets. Light aluminum chair and raincover. Capacity about 50 liters. Colour black-lime.